NIOS has introduced 100% On-line admission at the Secondary and the Senior Secondary level in order to facilitate learners to register. The NIOS takes conscious steps to provide quality education. The Govt. of India has vested in NIOS the authority to conduct Public Examinations and provide the Secondary and the Senior Secondary level certificates, which are equivalent to the certificates provided by any other Board of School Education. The Public Examinations are held twice in an year. 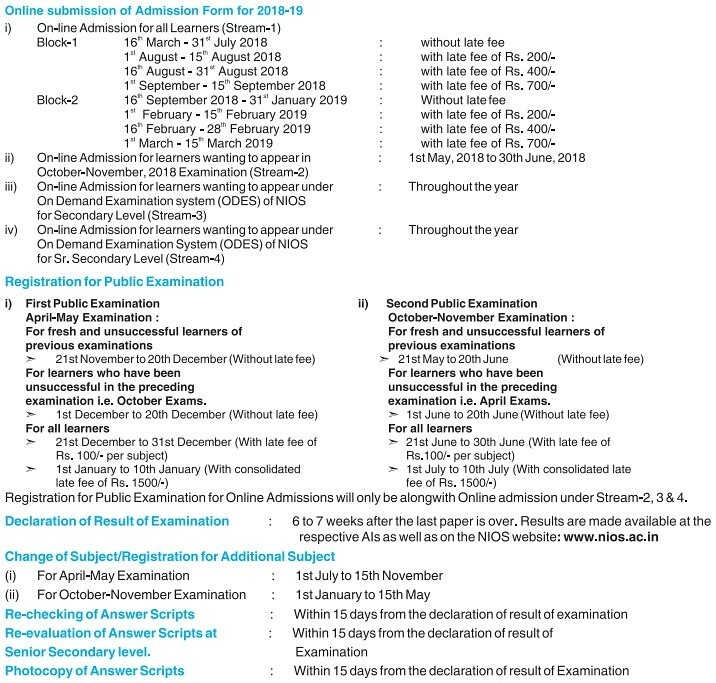 Candidates can get complete details on NIOS Admission 2019 from this page. Latest: The last date of online submission of examination fee for secondary and senior secondary march-April 2019 examination has now been extended from January 21,2019 to January 25,2019. Click here to check the notice. NIOS is going to conduct the online admission for the academic year 2018-19. NIOS acknowledges previous knowledge by allowing transfer of credits of upto two subjects passed from International, National and State Boards of Examination / State Open Schools with whom NIOS has entered into agreements. Application Form for NIOS Admission 2019 for admission into Secondary and the Senior Secondary classes has been released. Candidates can apply online as well as offline for NIOS Admission 2019. Candidates have to register first to apply online. Download the application form which is available in information brochure to apply offline. NIOS Examination 2018 admit card will be released after successful completion of registration process. Candidates who will complete registration process before or on last date will be able to download admit card approximately three weeks before the Main exam. 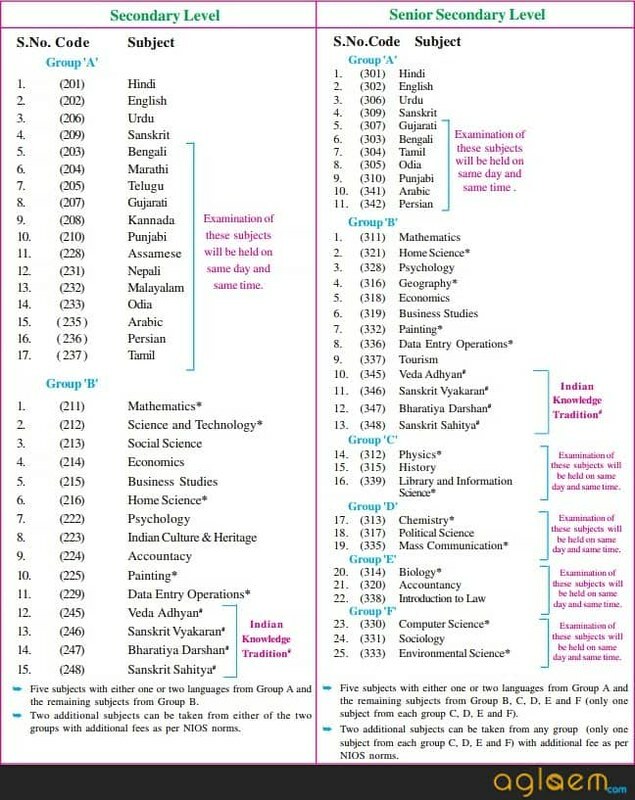 The Scheme of Studies for the Secondary and the Senior Secondary Courses is given below. 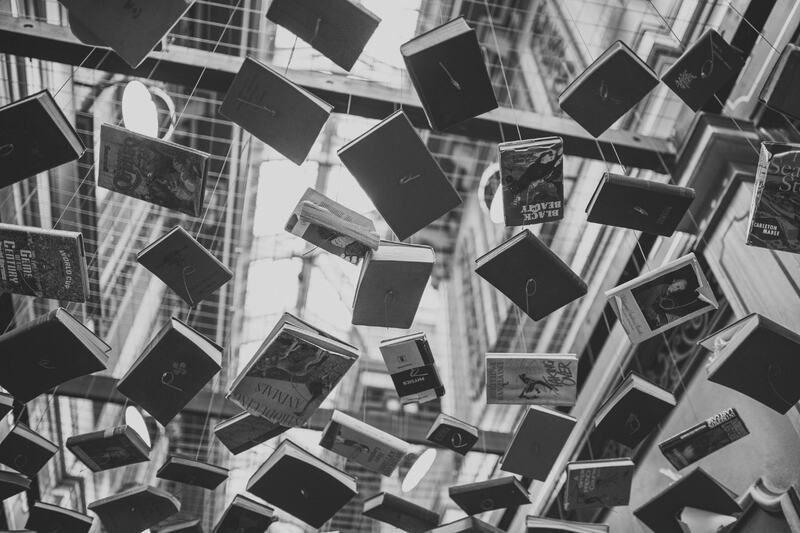 For obtaining a Pass Certificate, a learner is required to pass in a minimum of five subjects including one or maximum of two languages from Group ‘A’ and other three or four subjects from Group ‘B’. However, a learner is free to take upto two additional subjects and thus can choose maximum of seven subjects. Note: Re-admission is not allowed to the learners of NIOS whose admission is still valid. Note: A learner should seek Transfer of Credits (TOC) at the time of admission in the subjects which are included in NIOS scheme of studies. in case the Secondary examination is not passed from a recognised Board. in case the residential proof is not attached. Note: Admission once cancelled will not be re-considered. * Fee will not be refunded in such cases. Admission to a particular course is normally confirmed by NIOS by issuing an Identity Card having learners admission particulars as per the record available in NIOS. If any discrepancy is noticed at any stage of admission and even if the Identity Card is issued, the admission will be cancelled and result will not be declared even if you have appeared in examination. Do check the particulars given in the Identity Card. Discrepancies, if any, may be brought to the notice of the concerned Regional Centre through AI immediately. Learner should retain his/her Identity Card carefully till he/ she completes his/her study in NIOS. Correction in the admission record will be made as per rules only which are available on NIOS website. which are available on NIOS website. The learners appearing in external public examination/ODES will be required to produce the Identity Card issued by NIOS at the time of appearing in examinations failing which they will not be allowed to appear in the examination. For more detail about NIOS Online Admission 2018, download Information Brochure.